Left: Cover of Mario Gooden’s Dark Space: Architecture, Representation, Black Identity (2015). Right: A view of Azurest South, St. Ettrick, Virginia. “How does it feel to be a problem?” So begins a chapter titled “The Problem with African American Museums” in Mario Gooden’s new collection of essays, Dark Space: Architecture, Representation, Black Identity. By repeating the question with which W. E. B. Du Bois launched The Souls of Black Folk, Gooden locates himself in an illustrious lineage while highlighting the stasis that lets the query resonate as profoundly now as it did over a century ago. What follows is a subtle reading of a number of African American cultural institutions, a consideration of the politics they spatialize (sometimes in literal mutations of Afrocentric iconography such as kente cloth or masks), and a call for “more critical design and discourse.” Gooden is an associate professor at Columbia University’s Graduate School of Architecture, Planning, and Preservation and a partner in the firm Huff + Gooden Architects; below, he discusses the book and a chapter on the architect Amaza Lee Meredith. Dark Space was published this month by Columbia University Press. THE TOPICS COVERED IN DARK SPACE are intimately related to my practice, and to how I and my colleagues approach our work in our architecture studio. But I specifically wanted the book to not be about my practice, in order to prompt a larger conversation that moves beyond the image of architecture, so to speak. It has always been my belief that architecture is about space and spatial experience. What it looks like in terms of pictorial representation, or its image, is secondary to its experience. I first became aware of Amaza Lee Meredith two or three years ago. I had no idea that there had been a black woman architect practicing in Virginia as early as the 1920s and ’30s. And to be a modernist within that context! I thought that was quite extraordinary, considering what was going on culturally at that time. She had no formal architectural training; she had studied arts education at Columbia University’s Teachers College. While researching this book, I spent some time studying the house that she designed for herself and Edna Meade Colson, her lifelong female companion, in the mid-1930s. I started digging in to the way in which she constructed an identity through her own architecture. I read somewhere that she referred to a space in that house as her “lady’s boudoir.” I thought this might be a direct reference to Adolf Loos, who often included boudoirs in the modernist houses he designed. 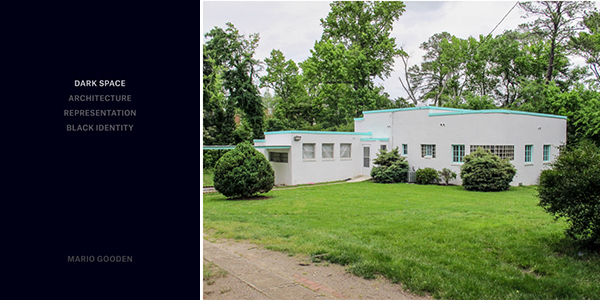 Then I became interested in looking at Azurest South, Meredith’s home in Virginia, in coordination with the house Loos designed for Josephine Baker, as the two women were essentially contemporaries: Meredith and Baker did not know each other, but they were being culturally productive at the same time. Formative in my thinking as I was writing this essay was a seminar that I had taken with Beatriz Colomina when I was a student at Columbia. It was a seminar on Loos, and around the same time Beatriz was working on her book Sexuality & Space. Upon reading certain scholarly critiques that suggest the house Loos designed for Baker epitomizes a European white male—and possibly Loos’s own—masculinist and primitivist racial and sexual desires, I wanted to offer a slightly different reading of the Baker house and how publicity, sexuality, and the gaze were working in that project. The house can be seen to contain ambiguities that blur the lines between viewer and view, and between subject and object. Features of the house point toward not only the objectification of Baker but also her elusiveness and the illusiveness of her image—for instance, I see connections to the racialized and sexualized dance performances Baker created as part of La Revue Nègre in Paris in the late ’20s. In a way, Azurest South is much more private, but it's private in public. For that time and that context, the house was radically different from anything else around it—it doesn’t fade into its surroundings. It’s also interesting that Meredith did not necessarily hide her relationship with her partner, who was the head of the education department at the Virginia Normal and Industrial Institute, which subsequently became the Virginia State College for Negroes in the ’30s and is now known as Virginia State University. I believe their colleagues were aware that they were “roommates.” So, from the exterior of Azurest South, their privacy is, let's say, veiled or cloaked, but it’s veiled and cloaked in public while recoding the masculinist guises of modernism.